How to Transfer SMS from BlackBerry to Samsung? Home > Resources > Transfer > How to Transfer SMS from BlackBerry to Samsung? When a BlackBerry phone user begins to transfer text messages from their devices to their new Samsung phones, they can encounter with a lot of different problems. 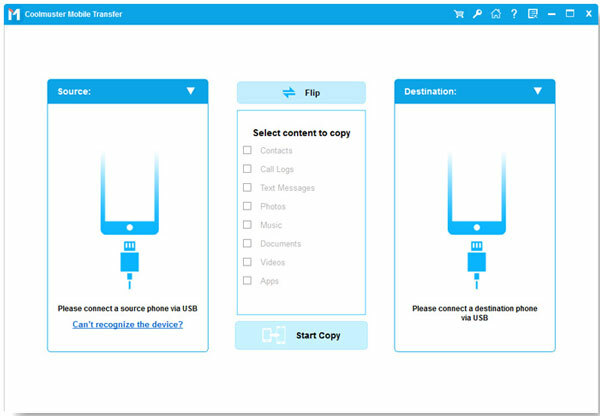 So, it is very important for those people who are new comers to do the SMS transfer to find a handy and useful phone transferring tool to help them. In this article, we recommend such kind program to help you transfer SMS from BlackBerry to Samsung Galaxy. 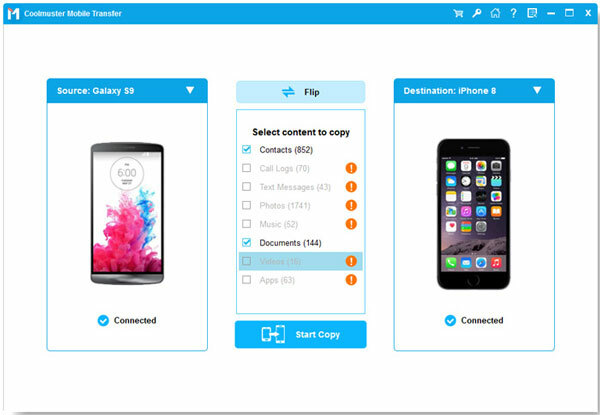 It is Mobile Transfer that can help you transfer your data, not only text messages, but also contacts, photos, videos, music, apps and many more from BlackBerry to Samsung S7/S6/S6 edge, Galaxy A9/A7/A5, and vice versa. The program can also work on other Android, iOS and Symbian devices. For SMS transfer between BlackBerry and Samsung, the software can preserve text contents, phone numbers and people's names during the transfer. Sounds wonderful, right? Good news is that Mobile Transfer provides free trial version for you to have a try before purchase. Just click the following button to get it free downloaded on your PC or Mac. Step 1. Firstly, install the downloaded Mobile Transfer on the computer. Launch it and get your Samsung and BlackBerry phones connected to the computer via the USB cords. Then, you can see the below interface. Choose the Phone to Phone Transfer mode and hit the Start option to continue the process. Step 2. All the transferable file types will appear in the window. If you only want to transfer text messages, you can click the "SMS" category only. Preview all contained text messages in the BlackBerry phone, select the ones you want to transfer to Samsung and hit the right or left arrow direction to start the transfer. With this Mobile Transfer, transferring text messages from BlackBerry to Samsung is just a matter of a few simple clicks! Have you learnt it?